The white WIR SYS 1 SoundPlus Pro Courtroom System from Williams Sound offers a complete hearing assistance, language interpretation, and private listening solution. 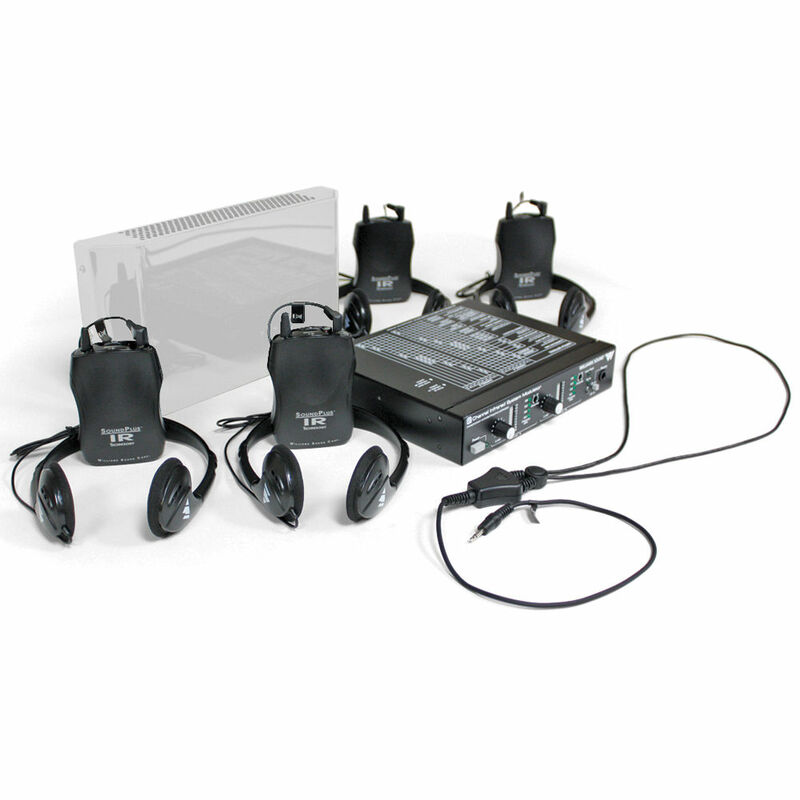 This 2-channel IR system ensures private and secure transmission to participants within the listening area. The system includes 1 MOD 232 modulator (with TFP 016 110VAC/24VAC power supply), 1 WIR TX9 WHT emitter (with TFP 010 U.S. power supply), 1 BKT 024 wall/ceiling mount, 4 WIR RX22-4N 4-channel bodypack receivers (can be recharged when used with BAT 026 AA NiMH rechargeable batteries and CHG 3512 multi-bay charger - sold separately), 4 HED 021 headphones, 2 NKL 001 neckloops, 1 RPK 005 rack mount kit, 8 BAT 001 AA alkaline batteries, and 1 IDP 008 ADA wall plaque. Box Dimensions (LxWxH) 16.0 x 12.0 x 12.0"